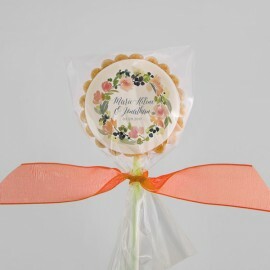 Personalized Wedding Cookies There are 3 products. 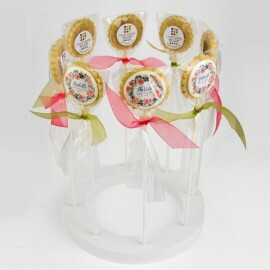 Distinguished and elegant, the shortbread is the ideal partner for your reception. Whether as a guest favor, table centerpiece, or as a fanciful place holder, it will charm your guests. Price: Make an appointment with me for a tasting and to discuss your project. I will make you a proposition to suit your tastes and your budget. You prefer cupcakes? I have much to offer on this side also, with a plethora of flavors as well as decorations. 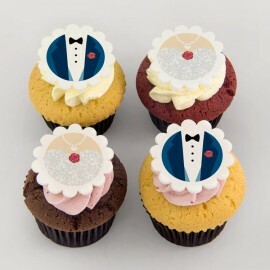 Garnished with fondant shapes, they can be topped with a picture or your names. Price: Make an appointment with me for a tasting and to discuss your project. I will make you a proposition to suit your tastes and your budget.